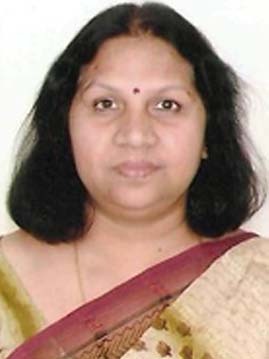 Having achieved Doctorate in Waste Management from Indian Institute of Technology, Delhi in 1997, Dr. Suman Chahar pursued environmental sanitation as her professional career by involving herself in the Sulabh Sanitation Movement initiated by Hon’ble Padma Bhushan Dr. Bindeshwar Pathak, Founder, Sulabh Sanitation and Social Reform Movement and has been rendering services in various capacities since over two decades. Dr. Chahar is heading International Centre for Women and Child an international fame NGO focuse on creating an environment through positive economic and social policies for full development of women to enable them to realize their full potential. Equal access to participation and decision making of women in social, political and economic life of the nation. Equal access to women to health care, career and vocational guidance strengthening legal systems aimed at elimination of all forms of discrimination against women mainstreaming a gender perspective in the development process to eliminate discrimination against women and girl child. The Organization is promoting a healthy environment for the mission for the all round development of women and children specially those belonging to weaker section of society. Presently, Dr. Chahar is the Chairperson for International Academy of Environmental Sanitation and Public Health, a pioneering NGO in Environmental Sanitation, established with a vision of becoming among the world leading Knowledge HUB and facilitating to the promotion of appropriate, affordable, eco-friendly and culturally acceptable sanitation development free from environmental pollution and bring social transformation in achieving the sanitation target set for the millennium development goal among the developing countries. Dr. Chahar’s main thrust areas of professionalism include ‘Community health and sanitation management’; ‘Environmental protection and waste management’; ‘Information, education, communication and motivation for poor and the vulnerable in urban and in rural areas on water supply, sanitation, health, hygiene, pollution control and waste management; ‘Women empowerment and Gender Mainstreaming’; ‘Capacity building’; and liberation and rehabilitation of scavenging communities; etc. Dr. Chahar’s recent initiatives of promoting ‘Open defecation-free towns and villages’ in association with Corporate Sector under the Corporate Social Responsibility and community participation like Hirmitla village in Mewat district, Haryana as well as developing ‘Scavenger-free towns’ like Alwar and Tonk, Rajasthan are mile-stones in serving the humanity, particularly the poorest of the poor. Capacity Building in sanitation, health and hygiene sectors. Dr. Suman’s contribution has been acclaimed by the international organizations such as UNICEF, WHO, NACO, DSACS, PSI, PFI, IFAD, ILO and JBIC and national organizations including Directorate of Family Welfare, Government of Delhi, Ministry of Urban Development, Central Pollution Control Board, Central Social Welfare Board, Rail Tel Corporation Ltd, various Municipal Corporations and Local Bodies, etc. She is a member of the Task Force for rehabilitation of manual scavengers, constituted by the Ministry of Social Justice and Empowerment. To her credit, a number of projects on sanitation, health and hygiene have been completed and in progress and a number of reports/articles which were published in reputed Journals and publications.